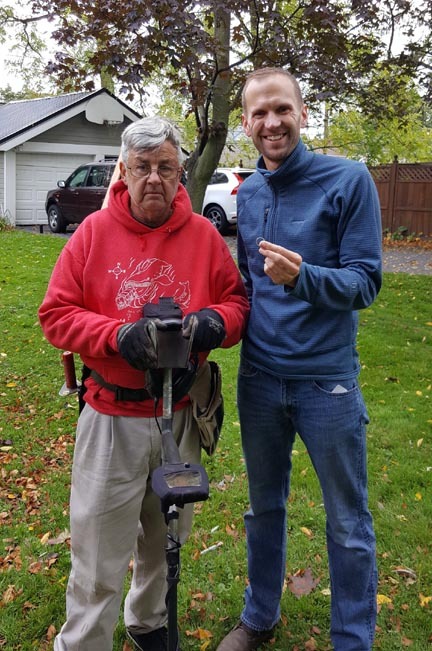 While the primary focus of Genesee Valley Treasure Seekers is to promote the hobby of metal detecting, we are also committed to supporting our community in a variety of ways. When needed we assist local law enforcement agencies to locate and recover evidence. We also help community members to locate lost items like phones, wedding rings, keys, etc. If you have lost an item of value, our club members may be able to help. Please contact the club by clicking on the Contact link here or on the menu bar, enter your information and request there; we will contact you as soon as we can, and we will be happy to assist you. Club members never charge a fee for our services. Another very important way Genesee Valley Treasure Seekers helps our community is with the donation we make to local non-profit organizations that support cancer and hospice care. A portion of the money raised from our yearly international hunt goes to this cause. Bonnie got an e-mail from Melody Zielinski that her Son-in-law Lost his Wedding band as he was clearing snow off his car. Bonnie forwarded the e-mail to John, who called Melody and made arrangements to go to their house on Saturday afternoon, with Curt, to help find the ring. John and Curt arrived at the house and met the couple-Kathryn and Matt Cullen, and Melody. There was about 5-6 inches of snow, but after 20 minutes of detecting, Curt located the ring. The young, recently married couple was very happy, as the ring had belonged to Kathryn’s grandfather. It was a great day for John and Curt to be able to find and return the ring. 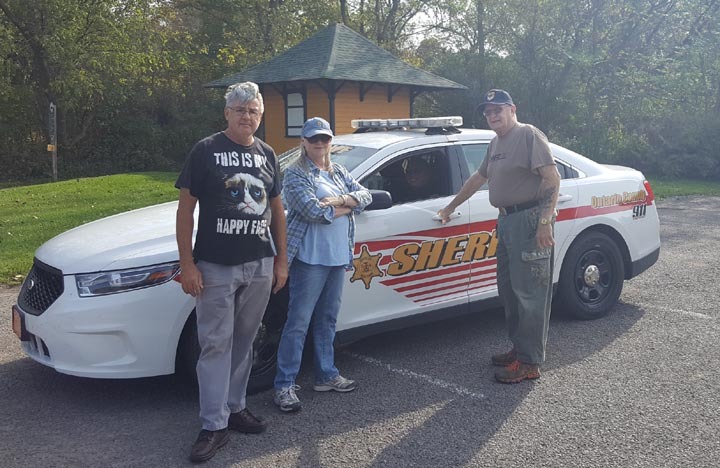 Curt, Fred, and Darleen answered the call to assist in finding a lost wedding band. Curt was the lucky one to find it, he was so excited can’t you tell? He gave us a donation to the club of $100.00! Thank you. In October we received a call from the Ontario Sherrif’s Department to assist in looking for dropped items in a string of local robberies. John, Lynn, Curt, Lori, Fred, and Darleen gave it their best try, but After searching several areas they came up empty handed.